Many of the resources you need to enroll in classes each term are available in these pages. You may want to start with our Steps to Enroll. You can view your enrollment appointment in your myUH student center. Prior to enrolling in a class, please check the Graduate Catalog and Undergraduate Catalog for course requisite(s) information. The Undergraduate Catalog is where you find important information regarding academics, enrollment, courses, core curriculum, policies, and more. The catalog is an important resource for undergraduate students, refer to it often. The Graduate Catalog is where you can find important information regarding academics, enrollment, courses, core curriculum, policies, and more. The catalog is an important resource for graduate students, refer to it often. The Class Schedule lists courses available each term. You can use the Class Schedule to plan your class load and schedule each term. 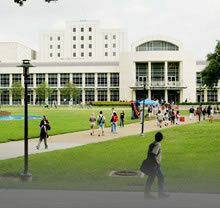 All baccalaureate degrees from the University of Houston require completion of the core curriculum. You must satisfy the credit hour requirements in all 10 categories. This is a list of commonly asked questions and informative answers about admissions, adding and dropping courses, enrollment, myUH, fee payment, financial aid, email, parking, transcripts, and more. Policies and Procedures regarding enrollment govern both student and university actions. They help everyone work cooperatively toward the common goals of education and degree completion. You are not expected to figure out your degree path on your own. Academic advisors are available to help you understand and plan your college career.